As this is the most difficult part in the FIM CM deployment, I will try to make it easy and simple. Please refer to Microsoft TechNet for basics and then read this section to complete the missing points. 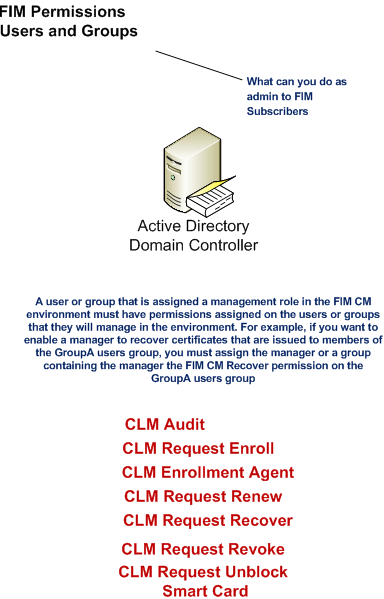 FIM CM managers: those are the users that are assigned a management role through the FIM CM portal. This can be the FIM CM full admin, or just a help desk that is assigned the task to offline unblock smart cards. 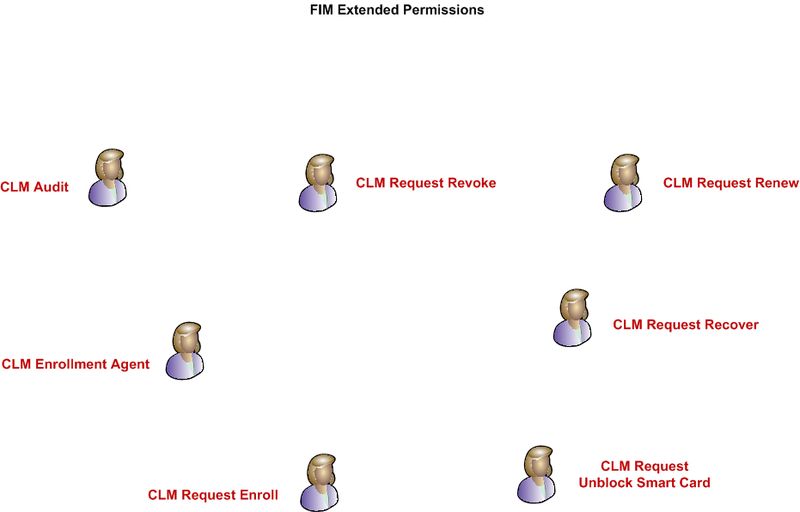 FIM CM subscribers Group: Permissions are FIM Extended permissions. Service Connection Point: Permissions are FIM Extended permissions. 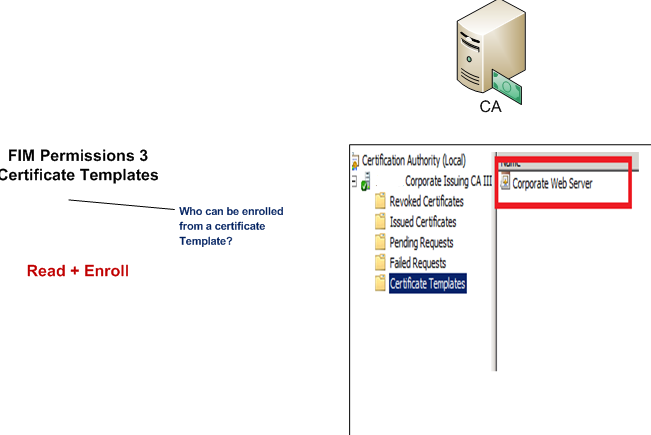 CA Certificate Templates: Permissions are (Read) and/or (Enroll). 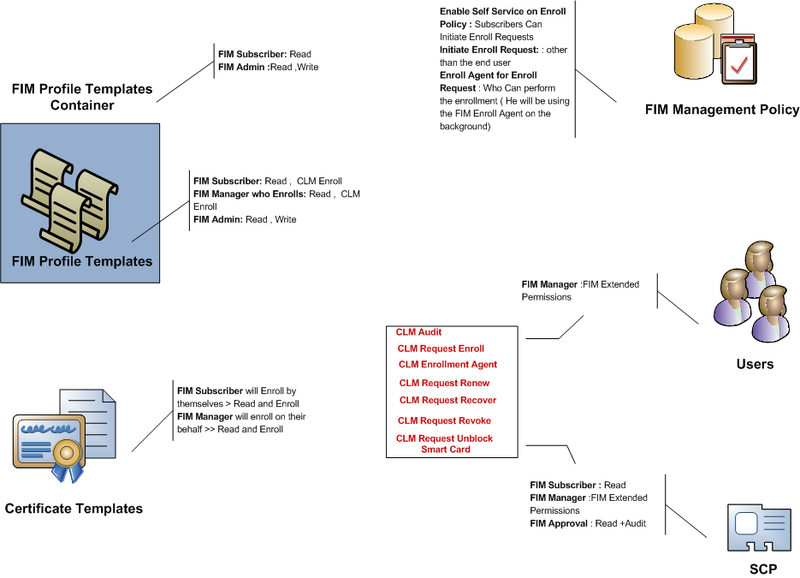 FIM CM Management Policy: what you see when you configure a profile template. “Read” and “CLM Enroll”: For Certificate Consumers. “Read” and “Write”: For FIM CM Full Admins. Profile Template container and Profile Templates (Required). CA certificate Template: Only if they will do the actual enrollment. FIM CA Management Policy: Only if they will do the actual enrollment. For example: in a help desk scenario where help desk team needs to be able to only offline unblock smart cards , they should have ( CLM Request Unblock) and ( CLM Enrollment Agent) , and frankly speaking this is confusing but this is how things work. 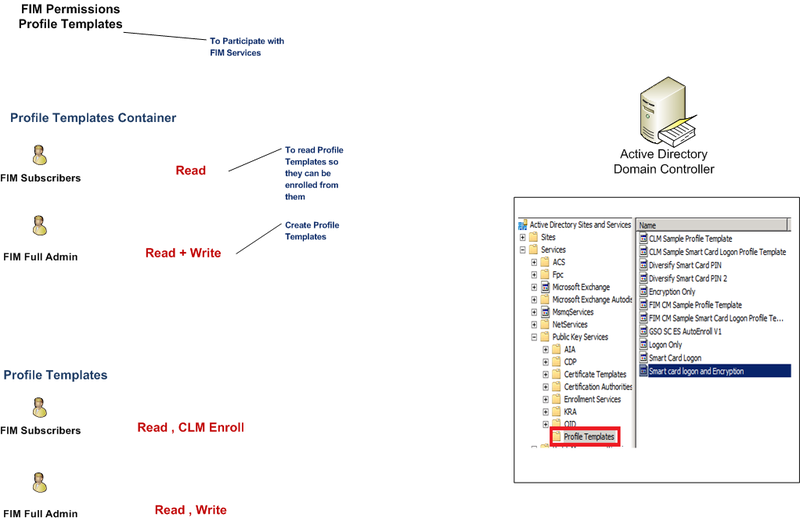 If the end user can enroll a certificate from the FIM CM portal by himself, then he needs (Read + Enroll) permissions on the certificate template. If the Actual Enrollment is done by a FIM CM Manager, then that manager only needs the (Read + Enroll) permissions on the certificate template. FIM Subscribers: Always should have (Read + CLM Enroll). Note: FIM Subscribers should ALWAYS have Read and CLM Enroll at the profile template even if they do not do the actual enrollment. 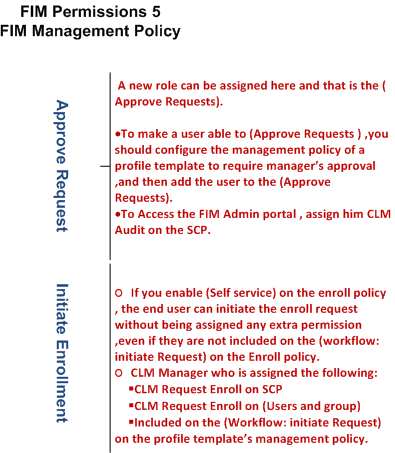 So in case of a centralized deployment were the FIM Manager will initiate the request and will enroll on behalf of user and thus executes the enrollment , both the FIM manager AND the FIM subscribers should have (Read + CLM Enroll) at the profile template. (CLM Audit) and (Read) at the service connection point. 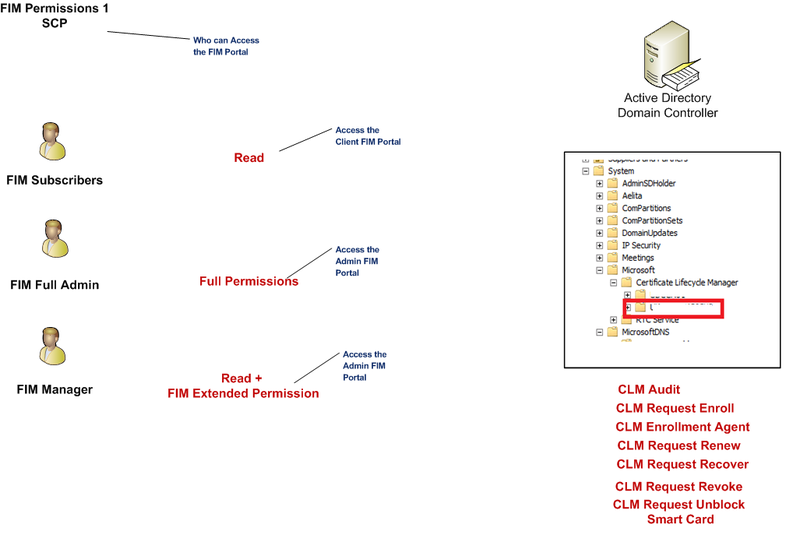 (CLM Audit) and (Read) at the FIM CM Subscribers group. Assigned the (Approve Requests) from within the FIM CM management Policy.